So , I was naturally drawn to the new razer mouse coming out that's basically a deathadder '13 with colour changing LED's, as I already have a Razer deathadder '13 but would like to change the colour from the monster green thing they have going on.... So , I was naturally drawn to the new razer mouse coming out that's basically a deathadder '13 with colour changing LED's, as I already have a Razer deathadder '13 but would like to change the colour from the monster green thing they have going on. 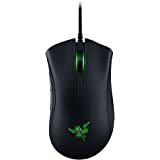 So , I was naturally drawn to the new razer mouse coming out that's basically a deathadder '13 with colour changing LED's, as I already have a Razer deathadder '13 but would like to change the colour from the monster green thing they have going on.